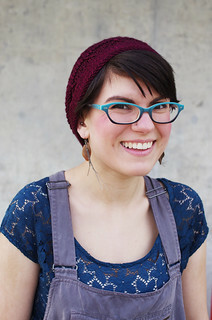 indie.knits: Fireweed With Me KAL: Cast On! Fireweed With Me KAL: Cast On! Hooray! Today is Cast On Day for the Fireweed With Me KAL. I'm very excited that so many of you are participating! For folks who posted on Ravelry and/or Instagram with #fireweedkal, you still have until 11:59 pm tonight to post to either or both, and I'll be announcing the two winners of a copy of Lupine on Monday. If you're just hearing about the KAL now, feel free to join us at any time - there's no requirement to post on social media in order to play along. Today I wanted to share a few tips and tricks that might be helpful as you begin your project. First up, the cast-on itself. I used a long-tail or Continental cast-on for Fireweed, and I just wanted to show you a little trick I like to use for a knotless cast-on, illustrated from left to right. 1. Leave a sufficient tail for the number of stitches to cast on. For Fireweed, there are only 5 stitches, so we don't need too much extra. 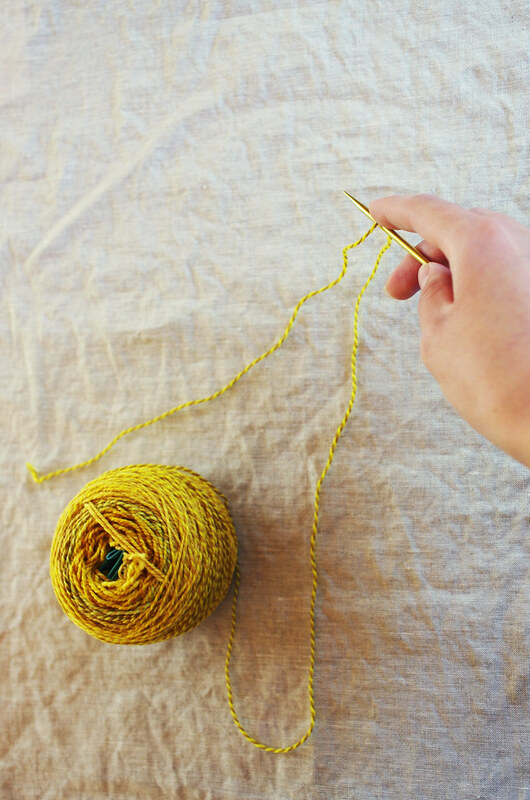 Keeping that tail off to the left, lay your yarn over the needle and secure it with your right index finger. This step basically replaces your slip knot. 2. 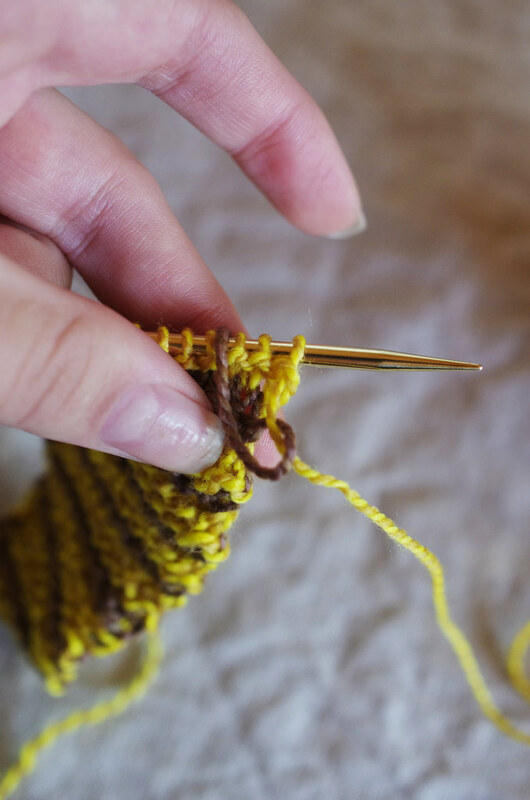 Insert your left thumb and index finger between the two strands of yarn as for your usual long-tail cast-on, keeping that right index finger securely on that strand of yarn across your needle. 3. 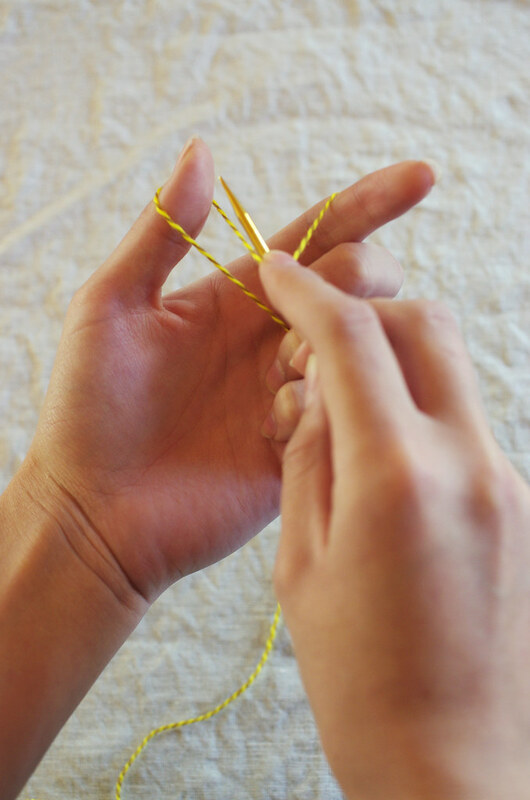 Open up your hand into the slingshot position, and cast on a stitch as usual. 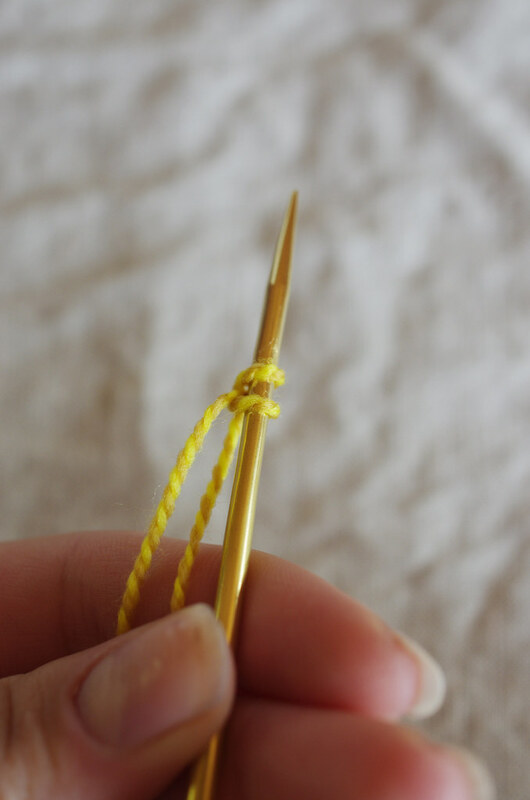 This will secure the strand and create your first two stitches - just like with the normal long-tail cast-on, but without that pesky knot. 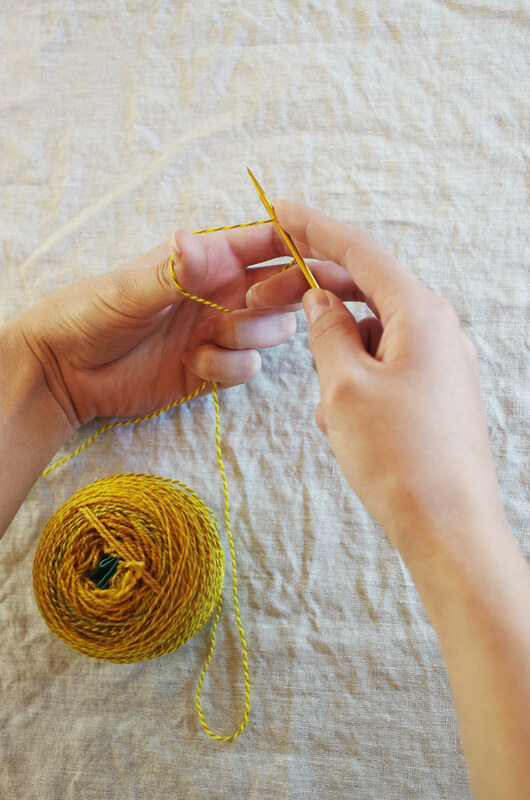 Okay, next up is a tip that I find helpful for two-color projects in general, but particularly for this one: where to keep your yarn while you knit. 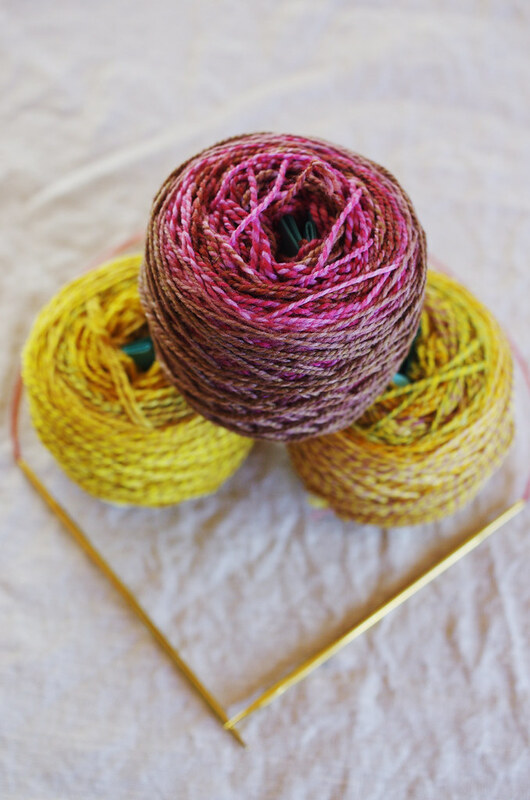 Dyed in the Wool is an energetic little yarn, which is part of what makes it so fun to work with - it has great twist and bounce, which sometimes means it likes to get overexcited and twist up on itself. Add a second color to that twisty little friend, and you might end up with a snarled mess. The simplest answer to this problem is to keep them separated. I'm a right-handed thrower, so I like to keep the main color on my right side and the contrast color to my left, but lefties and continental knitters might find it easier to switch and have the main color on their left. If you're switching to your Main Color, set your Contrast Color off to the left, pick up your Main Color, and knit across the row like usual. Once you've worked those first two rows with your Main Color, you'll want to carry your Contrast Color so you don't get long floats up the side. To carry your Contrast Color, bring the strand up over the Main Color from the back, and lay it off to the left, just like you did when you switched. 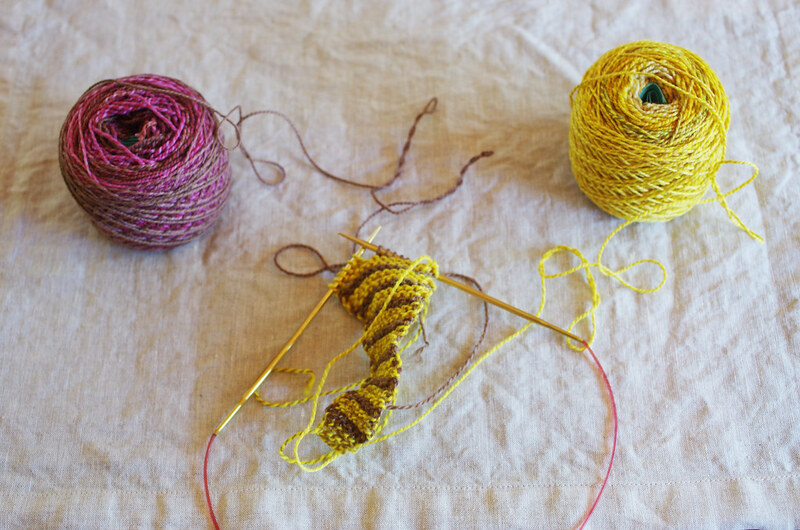 Continue knitting with your Main Color. This will secure that strand along the selvedge of the fabric so it doesn't flop around in the air or get snagged. This is pretty much the same as switching to your Main Color, but you just want to be careful not to pull your Contrast Color too tight. 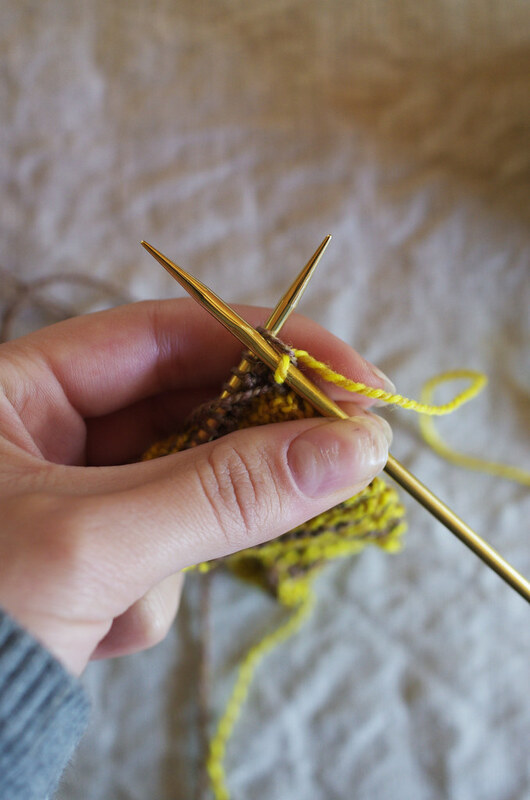 So you set your Main Color off to the left, pick up your Contrast Color, and loosely knit those first few stitches, leaving just a bit of slack along the side. Then you knit across the row as usual. 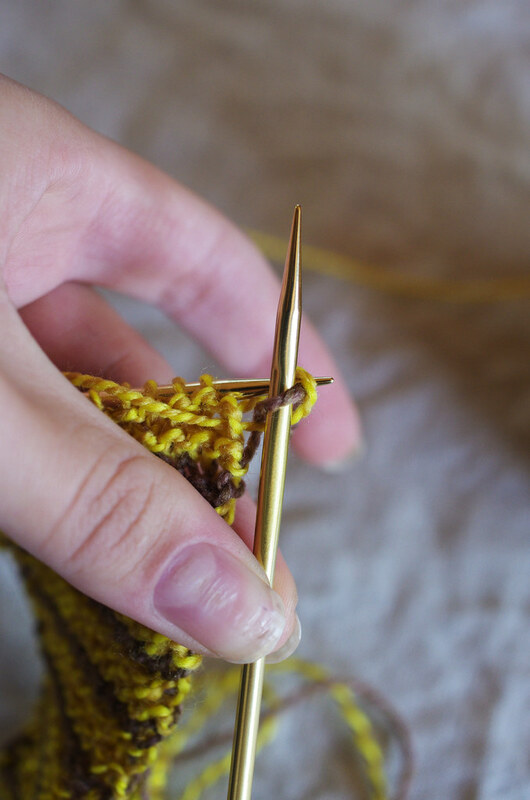 This is so that when you go to block your shawl, you have a nice, stretchy edge that won't break or pull. Okie dokie! Thanks for reading, and I hope that helps as you begin your Fireweeds! 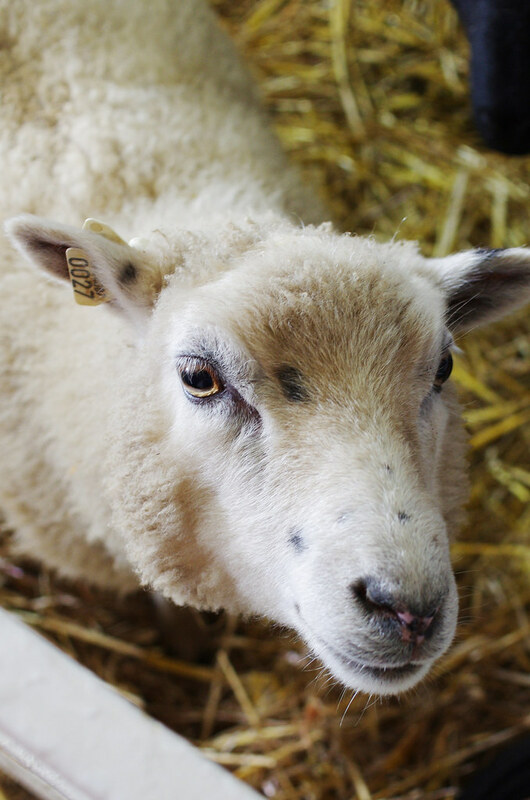 Also, I just wanted to mention that I'll be taking a brief interlude down to Oregon Flock & Fiber this weekend, to chill with my Issaquah Tinker friends and some adorable sheeps and llamas. If you see me there, please do say hi - I'd love to meet you! Until next time, happy Friday, and happy Fireweeding!